The ASC-V is a professional single channel 4-band equalizer in a 5.25” vertical module compatible with API Audio® 500 series rack frames. It is simple... it is useful... and it delivers the high quality and specifications found in all Speck Electronics gear. 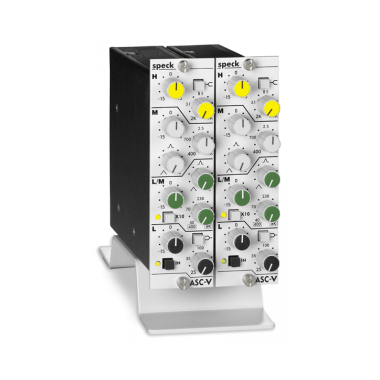 This compact 4-band parametric equalizer has 12 controls for equalization adjustment that covers the audio spectrum from a low 25Hz all the way up to 25kHz. To enhance the classic EQ experience, the ASC-V offers both transformer-balanced and active-balanced outputs. Low Band - a low band that sweeps the low frequencies from 25Hz - 400Hz. This band offers a Peak/Shelf select switch. Hi Band - a high band that adjusts the high frequency from 2kHz all the way up to 25kHz. This band also offers a Peak/Shelf select switch. 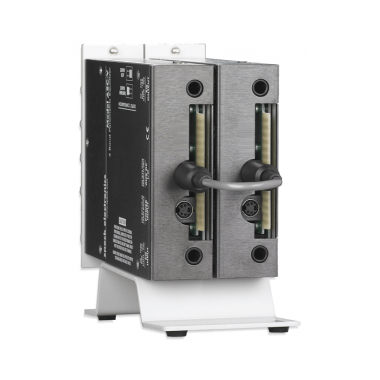 In addition to the standard rack friendly edge connector, the ASC-V has a set of 1/4" TRS input/output jacks, and a power input connector. 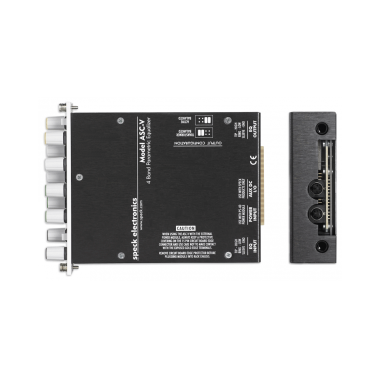 With these I/O connectors and the optional power module, you can ignore the PC edge connector and use the ASC-V as a stand alone EQ. We even offer a mounting base that will hold a single EQ or a pair of the ASC-V's. 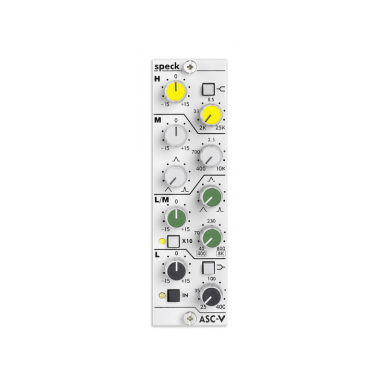 Connect the ASC-V to virtually any line level source; balanced, unbalanced, or mixer inserts. The Model ASC-V has high headroom that will handle balanced signals up to +28dBu. Dimensions: HxWxD=5.25" x 1.59" x 5.9"